This report* demonstrates the use of climate information in assessing adaptation needs and implementation of adaptation interventions. It provides an outline of the change in thinking that is happening as adaptation moves from theory to practice, how this translates into a different approach for assessing adaptation needs, and the implications of this shift for climate information and services provision. It provides information on the adaptation and decision policy cycle, outlining the sequence of activities associated with practical programming, and the use of climate information within this. Finally, it demonstrates this sequence using a real case study application on mainstreaming climate adaptation into the sector agriculturaldevelopment plan in Rwanda. This report* is part of a larger study conducted by the Global Climate Adaptation Programme (GCAP) to analyse and identify the types of development decisions that should be actively accounting for future (10 years +) climate in decisions taken today, and to advance quantitative and economic evidence to inform decisions made by development practitioners in Africa. The approach to assessing climate adaptation needs is changing and this is influencing the needs of end-users for climate information. The policy-first approach targets early interventions; mainstreaming climate adaptation in decision-making and the consideration of uncertainty in climate science. It also prioritises the programming of actions for emerging climate finance. As a result, the needs of end-users for climate information are changing. The use of climate and risk information now falls within a sequence of activities, which are part of a broader decision policy cycle. This starts with the identification of relevent development objectives. The steps in this sequence are set out in this report. They are illustrated by a real and practical case study mainstreaming climate adaptation into the sector agricultural development plan in Rwanda. The new policy-first approach leads to a set of activities that are embedded within a policy decision cycle, aligned to programming implementation and climate finance. Understanding the sequence of activities that are involved in such a process is critical to ensure climate and risk information is effectively used within the decision-making process. This is particularly important in the context of national, sector and local adaptation planning, and the mainstreaming of climate change more generally. In this context, the technical adaptation decision cycle, that identifies then appraises climate vulnerability and risks, and identifies adaptation options, sits within a broader political context that looks at the wider decision making as part of underlying development objectives and processes. This sequence has been assessed as part of this research project, building on previous development of national and sector frameworks (notably Watkiss and Hunt, 2010). The steps involved are shown in Figure 2 below, and address the challenges and shifts in adaptation assessment identified in the literature review undertaken in the intial phase of this project (see full report for s ummary of this review). This approach has recently been applied in Rwanda, focusing on a real policy application that has gone through the entire cycle. 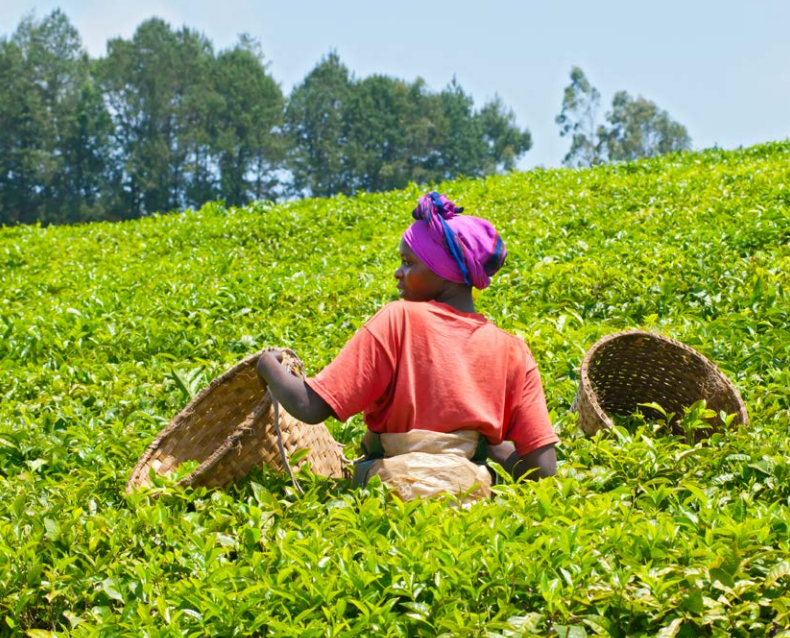 The case study has focused on integrating climate change into the Rwanda agriculture sector development plan, piloting with a tea and coffee resilience plan. This has been followed through to successful financing of the plan and the start of implementation. In the full report (download from the right-hand column) the steps in the sequence are described along with the practical examples and lessons from the Rwanda case study. These steps are described in brief below. Following from this, the aim of the assessment is identify and prioritise a set of interventions that will start this process and that could be funded either through domestic budgets or international climate finance to deliver implementation. Critically, this may include immediate actions but also early interventions to start adapting to future climate change. This reframing is particularly important in aligning to the development planning process. Mainstreaming requires additional information to that usually gathered in a science-first assessment, including non-climate drivers, relevant actors, and the decision-process itself. A critical component of the mainstreaming process is to find relevant entry points, that is, to identify opportunities in national, sector or local planning processes where adaptation can best be integrated. Critically, these entry points vary with the specific adaptation problem (Table 1 in the report lists a few examples). It also requires analysis of existing policies and objectives, to include adaptation in decision-making, especially as climate will be one of many challenges, and not necessarily the dominant one. Complementing the identification of entry points is the identification and engagement of stakeholders. A key issue in informing adaptation decision-making is to understand what is important to help focus, especially given the very large number of potential intervention options. Two key issues are important here. First, to assess what the significant or relevant problems are to address, and second, to understand the context of what is important for the underlying development area itself. This therefore includes consideration of the urgency of the problem, as well as its magnitude. Related to the earlier identification of entry points, there are often unique, context-specific windows of opportunity to introduce climate change adaptation, and especially to induce changes in policies and practice. This might be, for example, the revision of a policy or finalisation of new sector guidance. Importantly, this can mean that the time available for analysis is constrained, compared to a science-first assessment that may extend over several years. This calls for pragmatism, but most importantly the timely delivery of information to meet policy needs. The next step in the sequence is to develop the climate and risk information. It is stressed that this should be seen an iterative process, linked to the adaptation decision analysis in the next step, as the inputs and outputs need to flow backwards and forwards between these two to provide the relevant information for decision making. The climate information needs starts with an analysis of current climate variability and then looks at future climate change projections, with a strong emphasis on capturing uncertainty. A key difference to a standard assessment is the need for greater interpretation from climate modelling experts, as well as their inclusion in the decision-making analysis itself. The next step in the process is identifying and prioritising adaptation options, noting this should be undertaken iteratively with the climate and risk information. The decision-first approach involves a greater focus on the timing and sequencing of adaptation – and the prioritisation of a set of linked adaptation options that cover the three timescales of the current day, near-future and longer-term. Together this forms a portfolio of options, which include capacity building and information provision, as well as actual practical on-the-ground adaptation. An important part of this step is the economic analysis of options, to ensure these can be justified, to maximise the potential use of available resources, and to build the cost analysis for project implementation. This includes analysis of the costs and benefits of early low regret options, but also the value of information for capacity building and research. It also includes options that can be introduced during the design or planning phase, to and reduce the risk of lock-in. It is noted, however, that for activities which provide future benefits, there is an important trade-off between early action – and the associated early costs – versus longer-term benefits, due to the importance of discounting (see report for explanation - key concept 6). This means that the choice of these future orientated options has to be made carefully, rather than simply overdesigning to avoid any future risks. Finally, there is a separate set of longer-term (future orientated) interventions associated with early decisions for addressing future climate challenges. This is where early action or investing in information can help inform future decisions and can help keep future options open. A critical issue here – and the link back to the climate projections – is that the assessment of these options under uncertainty requires specific information, whether this is to allow testing of robustness, or critical thresholds for future risks. In many assessments, the production of a prioritised plan marks the end of the analysis. However, within a policy-first approach, there are additional activities that need to be considered as part of the integrated analysis. Critically this includes the financing of the options themselves. Unless a source of finance is identified, a prioritised plan will remain ‘on the shelf’, reducing the relevance and impact that the detailed analysis has sought to inform. There is therefore a need to identify and develop a costed proposal and a source of finance, which for adaptation, can be linked to emerging climate funds, bilateral development partners, or domestic budgeting. An important issue here is that different sources of finance will have different requirements. This will always include the intervention costs, but may also include certain economic information (such as benefit to cost ratio or value for money), key indicators, and consideration of social factors (such as environment and social safeguards, and gender). As a consequence, it is important to widen the analysis of adaptation to consider these aspects as the information and prioritisation steps are undertaken. Ideally these aspects should be considered from the very start of the project, and thus in the design of information and analysis framework. Alongside the identification of finance, a related issue is to explore the programming of the options, i.e. how they will be implemented. This includes identification of the responsible organisation, the project implementation approach (who will do what), the flow of finance, the project management and the monitoring and evaluation process. This is likely to involve a series of actors and organisations, and must be accompanied by timed plans, logframes, and milestones. One important element in the real-world programming of adaptation is the need to consider and address potential barriers, including market failures, policy failures, governance failures, and behavioural barriers. These barriers may be strongly context or culturally specific, and will vary with the sector and intervention, but addressing these is absolutely critical to the process and the successful delivery of adaptation. The final step is the evaluation and learning activities. These need to be put in place during the project design, rather than later in the process. Indeed, the focus on iterative climate risk management puts a much greater emphasis on these activities, and these should be seen as part of a continuous activity. Furthermore, it is often useful to add a specific learning component to ensure lessons flow through into subsequent policy and plan revision, i.e. to advance a cycle to act then learn, then act again. FCFA aims to improve the use of climate information in long-term decision-making across sub-Saharan Africa, leading to improved climate risk management and the protection of lives and livelihoods. FCFA is advancing scientific knowledge, understanding and prediction of African climate variability and climate change on 5 to 40 year timescales, together with support for better integration of science into longer-term decision-making. For more information on FCFA and to access our other publications, please visit our website at www.futureclimateafrica.org.